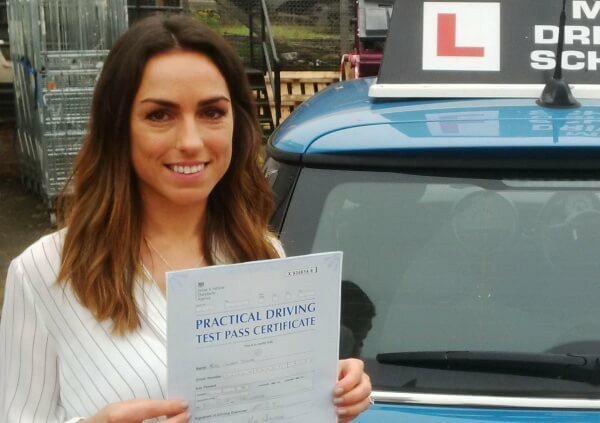 Mini Driving School’s instructors are patient, fully qualified driving instructors, all of which are signed up to the DSA’s (Driving Standard Agency) code of conduct. We are committed to providing the highest level of driving tuition whilst guiding our clients carefully through the Driving Standards Agency syllabus. Our clients will receive training to become fully compliant in how to safely use a motor car, to understand its operation and appreciate its advantages and limitations. The foundation of good driving lies in Observation, Anticipation, Awareness and Planning. These fundamentals and all other areas of the driving syllabus will be covered in depth, truly allowing you to master the meaning of the DSA catchphrase “Safe Driving for Life”. In order to be successful when taking the Practical Driving Test, you must successfully demonstrate one manoeuvre which requires the use of reverse gear, e.g. reversing around a corner, and parallel parking. These will be fully demonstrated, and you will learn some handy tips on their easy accomplishment. (During your 40 minute drive you will also be asked to drive ‘independently’ for ten minutes, following road signs or a described route). Our prices remain the same for evenings and weekends.For more information on the school and its services, please browse our other pages on this site. Mini Driving School has been established in Surrey since 2003, providing 1st class driving instruction and excellent pass rates. Get manual driving lessons from instructors at Mini Driving School, who can take you through the process step-by-step. Mini Driving School works with clients to help make them safer drivers. Driving lessons are an integral part of becoming a responsible driver on the road. We offer inexpensive training that covers the many aspects of driving, helping you on your way to getting your driver’s licence. Mini Driving School offers all of the lessons and training you need to pass your driving test or gain advanced driving skills. We offer driver training in our Minis with experienced, professional instructors. We also offer Pass Plus, advanced driving courses for experienced drivers, gift certificates and bulk driving lesson discounts. We have had countless successes stories over the years with our driving instruction, and have a reputation for being friendly, easy to understand and work with, professional, and for teaching without being critical. We will guide you through all of the basics of driving, and we’ll be there when you want to build on your skills. Whether you’re a beginner or an experienced driver, we have the course to fit your level of driving knowledge. Learn to drive, enhance your driving skills, and pass your driving test with Mini Driving School training. Mini Driving School gives driving lessons in Surrey and South London, including the areas of: Kingston Upon Thames, Merton, New Malden, Morden, Surbiton, Thames Ditton, Worcester Park, Esher, Chessington, Ewell, Cheam, Claygate, Epsom, Ashtead, Tadworth, Banstead, Purley, Leatherhead, Walton on the Hill, Kingswood, Headley, Lower Kingswood, Reigate, Redhill Bletchingley and Godstone. Fetcham, Oxshott, Bookham & Wandsworth. If you are outside these areas and would like to know if we work near you, please call us on 07885 598 481 / 0800 511 8888 or contact us via our contact page.